North Korea continues to work on its nuclear and missile programs as talks with South Korea about the Winter Olympics progress, a pair of Democratic lawmakers told reporters Wednesday after returning from a trip to Japan and South Korea. 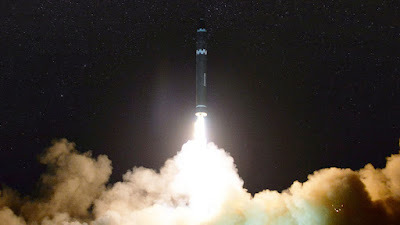 “It is a positive sign that the North Koreans are participating in the Olympics, but also very clearly from our military leaders … they’re not refraining from continuing to move forward with their efforts to solve the final problems with being able to nuclearize an intercontinental ballistic missile that can hit the American homeland,” Sen. Tammy Duckworth (D-Ill.) said. “So while they’re doing this, they’re still continuing to pursue their nuclear development, and that was not something that anybody that we talked to had any illusions about, whether it was civilian or military," she added.